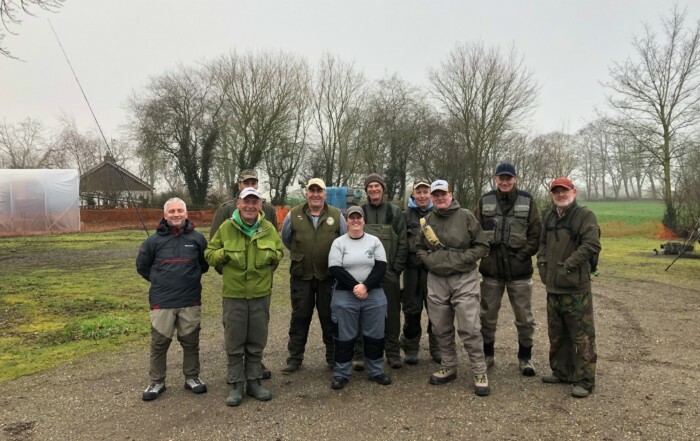 This time thanks went to Ken Whitmore for his heroic raking efforts during the preceding week, using his ‘saw blades on a pole’ device, to clear most of the streamer and blanket weed from all of the swims. Surprisingly, despite no rain at all for two months, the Lode was running faster than it ever does and was a good 6” lower than when we fished the last match, I am going to query why with the Environment Agency. Of course having set rigs etc to cope with the flow it stopped running completely just 20 minutes or so into the match and the little colour there was dropped out to leave clear water, perfect! 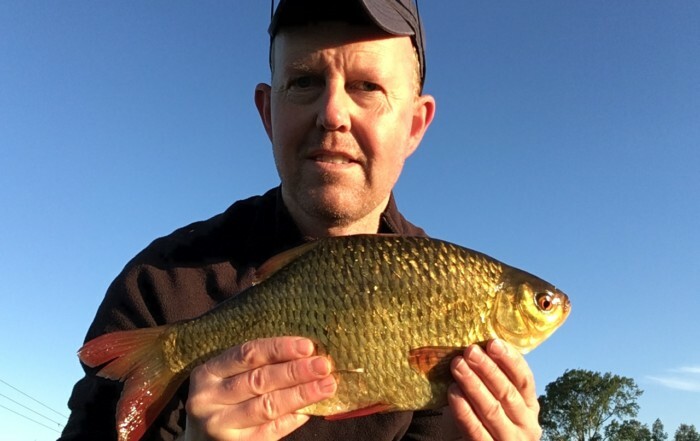 Most of us then struggled for bites and when they did come the result was a tiny roach or rudd. My biggest fish was a 3 oz perch, smallest a 1” bitterling! There were a few bonus fish caught; Glen had an eel while Gwyn somehow managed a tench. I did have a little excitement when a big swirl followed a small roach as I lifted it from the water. Thinking I might have a decent perch in the swim I dangled a bunch of maggots into the wake, I could see a mouth coming up under the bait but then to my surprise a beautiful grass snake exited the water almost vertically and then slithered atop the lilies into the rushes, he was a good three feet long and beautifully marked, highlight of the day but I’m glad I didn’t catch him. There were a few more productive swims, Gwyn for example ended with 7 lb 10 oz followed closely by Kevin Watkins who was just ½ oz shy of 7 lb. 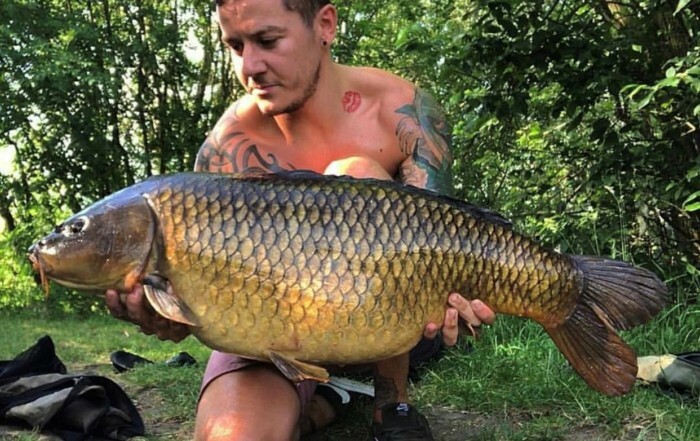 Kevin may well have won if it hadn’t been for the boat opposite him, which hadn’t moved for five years, churning up his swim and making it unfishable for the last ½ hour. Needless to say Trevor was heard muttering something about his poor peg, despite several of us offering to bring him better luck by drawing for him. He had a walk about during the match and forgot to blow his whistle loud enough to overcome the combine behind us. Not his best day’s fishing but he remains happy, content and optimistic for the next draw! Our next match on 19th August will be at Mepal, it’s the traditional ‘afternoon’ match, draw at 12:00, fish 13:00 – 19:00. As usual please book your place via Trevor, details as per the club book.